He might be the world’s suavest spy, outsmarting government agencies and with terrorist organizations equal ease, but he seems to have met his match in a Pan Masala brand. 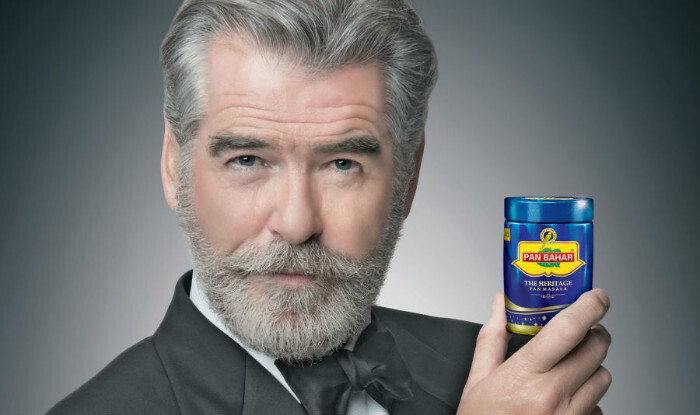 Pierce Brosnan, who’s best known for playing James Bond on screen, has now said that he was deceived into advertising for Pan Bahar. The Pan Masala ad featuring Brosnan had broken the internet last week, with netizens amused and aghast in equal measure at the mustachioed actor beating baddies over a pack of Pan Bahar. Brosnan says that he wasn’t aware that he was advertising for a product that contained tobacco and caused cancer. “I would never have entered into an agreement to promote a product in India that is dangerous to one’s health,” he added. The Pan Bahar campaign had earlier run into trouble when it was reportedly banned from television from promoting the use of tobacco.